q Provide neighborhood information on municipal services, schools, churches, etc. 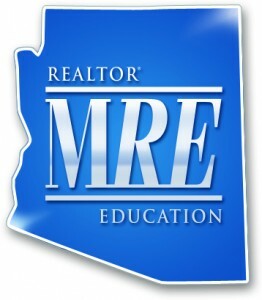 "Arizona Native, Dedicated to Arizona Real Estate for 30 Years"
Designated Broker for Relocation Specialists, LLC. ott Arizona Real Estate search Prescott Arizona homes using Prescott Arizona real estate mls and Prescott Arizona real estate listings. You may also find Prescott Arizona real estate rentals, check out Prescott Arizona real estate market, Prescott Arizona real estate foreclosures, Prescott Arizona real estate ranch, Prescott Arizona real estate companies, Prescott homes foreclosure and Prescott homes prices, for Prescott. Lots of important information, tools and resources at your disposal all for your convenience, the best part is it's free and no registration required. Use our site liberally as part of your Real Estate toolbox. We are confident that you will find this web site helpful. If you have any questions, suggestions or comments, please feel free to let us know, all input is appreciated. Remember, we are always available to help you in any capacity. You can search for property by any method or style you desire, our professional help is always just a phone call or email away. Buying Property in Arizona does not have to be risky, and it just does not make sense to buy property without proper representation. Most sellers are represented, don't be left out in the cold. The property will cost you the same whether you use our service or not, so why take the chance of going it alone. Contact us today!